Inspired from quality combinations of the Caroline and the Huntshire, the Victoria single sink bathroom vanity is built to present a bold and an elegant look. 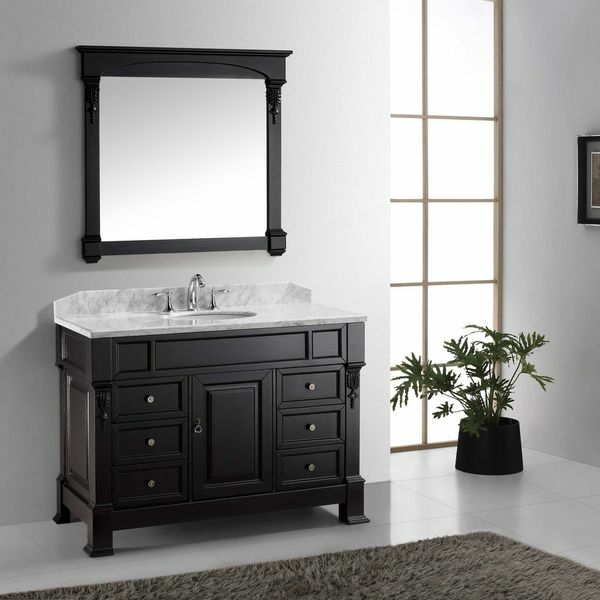 This vanity features soft-closing doors and drawers that provide spacious storage. Its Italian Carrara marble countertop finishes off the beauty of the cabinet. The Victoria is a wonderful choice to enhance any modern or transitional bathroom.Virtu USA has taken the initiative by changing the vanity industry and adding soft closing doors and drawers to their entire product line. The premium soft-closing hardware not only increases the safety of the vanity, but also its lifetime reliability. "Is the vanity available in just the base only without the top or sink? If so, can you tell me how much it would cost. Thank you. Moreen"